Film: Italian horror is totally my jam. 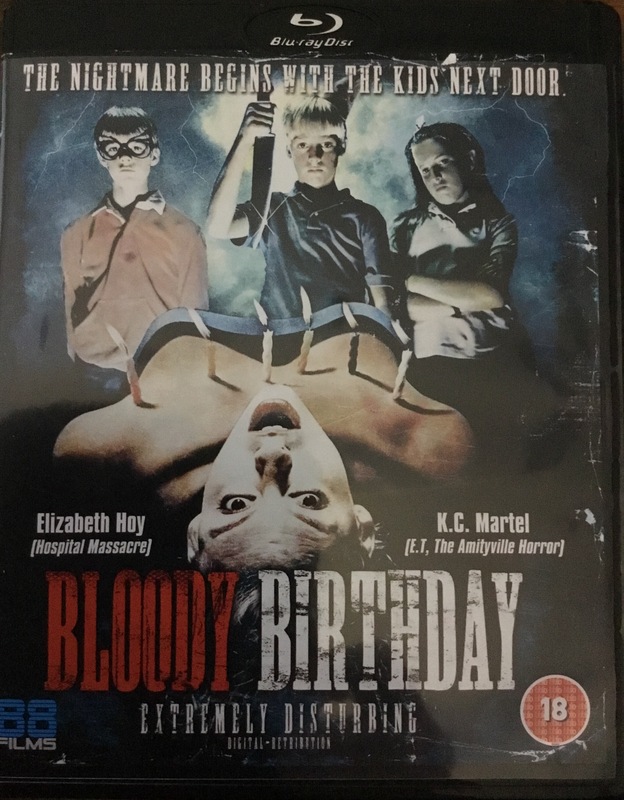 Even though Re-animator is my favourite horror film, I can’t resist a good… or a bad Italian horror, fantasy or scifi film. They are sometimes nonsensical, sometimes brilliant, but always totally entertaining. This film was written and directed by Luigi Cozzi, also known for Starcrash and one of my favourite films The Killer Must Kill Again, but here under the alias ‘Lewis Coates’. It has a super score by my favourite band Goblin, and really feels of it’s time, especially if you are an Italian horror film regular. A freighter arrives in New York with a dead crew and a cargo of boxes of coffee from South America which actually contain some kind of egg which explodes if under any kind of heat, infecting those who are exposed to its bacteria, which then causes them to explode. An investigation is started, headed by Colonel Stella Holmes (Louise Marleau) along with the survivor of the first egg encounter, police lieutenant Tony Aris (Marino Masé). They experiment on a few of the eggs and come to the conclusion that they are not of this earth, and perhaps the only person who could help them is the only surviving member of a Mars mission, returned astronaut named Commander Ian Hubbard (Ian McCulloch). 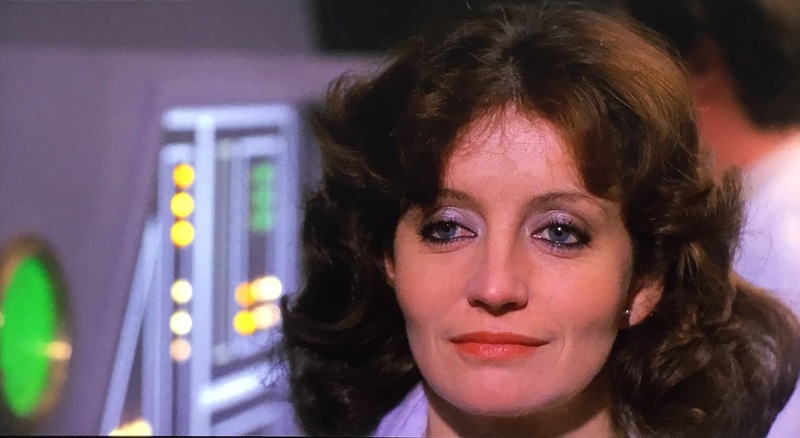 Cozzi’s love of science fiction is well on display here, and the heavy inclusion of 70s/ 80s Italian gore makes it a keeper. 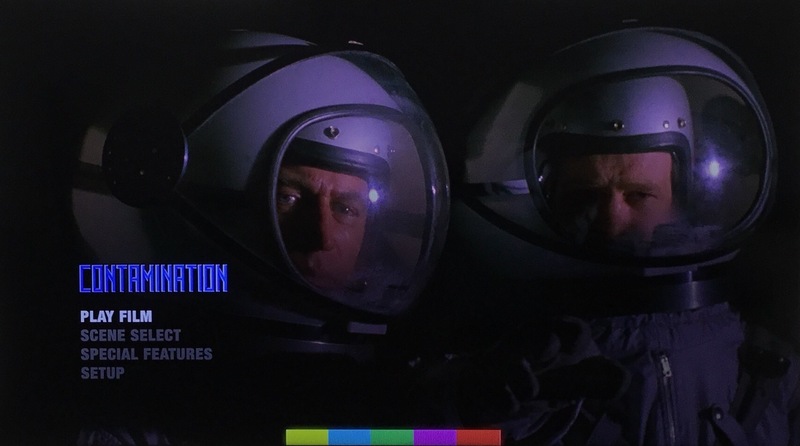 This film isn’t too disassociated from American 50s scifi as at its core, it’s actually kind of wholesome, with its military trying to end a world-threatening event plot. It’s just the exploding chests and copious amounts of blood, landed it in the list of video nasties in the 80s in the UK, which is where it’s notoriety comes from. Contamination: eggs… so many eggs! That finite excuse for that notoriety though may have come from Cozzi’s use of Peckingpah-esque slo-mo for every single chest explosion!! For years people have said it’s an Alien rip off, and even though Cozzi claims to have been inspired by it, I think it’s unfair to make the comparison. Yes there are eggs, and yes, there are exploding chests, but just because these two elements feature in it to me don’t make it slightly comparable. 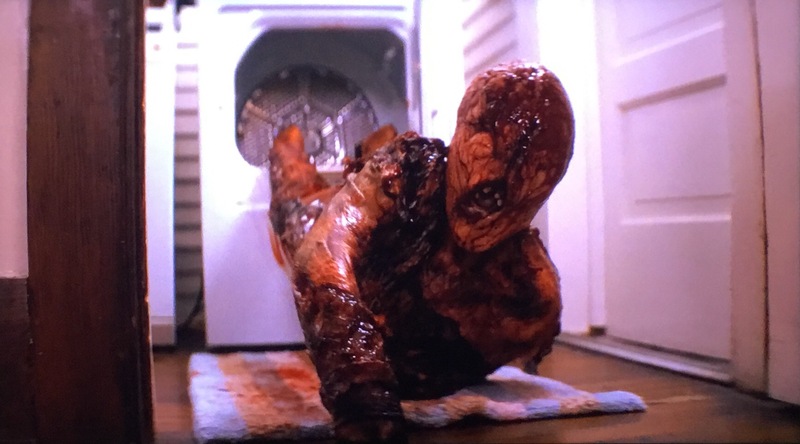 Contamination is heaps of sci-fi fun with a dash of 80s gore, and it’s a fit that sits well! Format: The edition of Contamination reviewed in the U.K., region A and B Bluray released by Arrow Video. The film runs for approximately 95 minutes and is presented in a nicely cleaned up 1.85:1 images with a choice of and Italian or English mono soundtrack. It’s not the sharpest image you’ll ever see, and there is the very occasional speck onscreen, but they are minor quibbles for a film of it’s vintage. Extras: As ever, Arrow have the goods with this release! 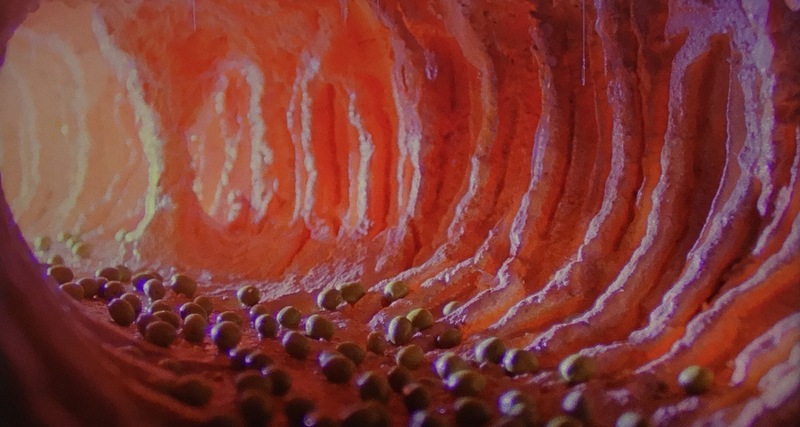 Luigi Cozzi on Contamination is an older… sorry, I mean ‘archive’ interview with the director of the film, where he discusses the origins of the film and the process to make it. Cozzi narrates the whole thing, and gives us a look as some behind the scenes footage as well. Contamination Q&A is an session of questions proposed to Cozzi and McCulloch, hosted by Arrow’s Ewan Cant. It’s an entertaining and amusing discussion for sure. Sound of the Cyclops is a talk with Goblin keyboardist Maurizio Guarini which for me, as a Goblin fan, was really interesting. Luigi Cozzi vs. Lewis Coates is a career retrospective interview with Cozzi. Imitation is the Sincerest Form of Flattery delves into the ‘Italian Copy’ films that aimed to emulate the success of films like Jaws, The Warriors and Dawn of the Dead, amongst others. We also have a trailer and black and white graphic novel based on the film, which has some pretty cool indie styled artwork. I don’t get why you’d make a comic an extra on an actual disc, as I’d much prefer an ACTUAL comic included in the packaging like Arrow’s release of Demons. Also, there is a commentary by Fangoria’s Chris Alexander which is a fan commentary, but Alexander knows his stuff! Hidden within the disc, one will also find really cool alternate covers for the cover, one with original art and the other with cool new art by Ghoulish Gary Pullin (whose amazing artwork can be found HERE!) and there is also a fully illustrated booklet with a piece by the aforementioned Mr. Alexander, and details of the restoration. WISIA: Heaps of gore and heaps of corn, you better believe I’m coming back for more! Fright Rags have a very exciting new limited edition T coming this Saturday, and it is apparently never to be reprinted!! Film: I love it when a movie surprises me with a plot twist or a change of direction. I don’t necessarily mean a last ten minute jaw-dropper like in an M. Night Shymalan film, but instead a gear shift part way through. The perfect example of this would be something like From Dusk Til Dawn. At first, your enjoying a total Quentin Tarantino-styled American gangster flick, and then, the clutch is pumped and the gear stick flicked into reverse and it becomes a total Robert Rodriguez Mexicano vampire film. The Diabolical does this, but not to the extent that QT and RR’s film did. 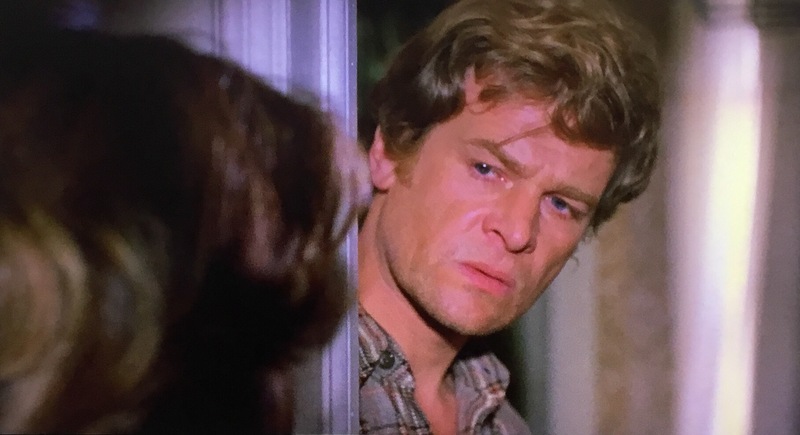 Instead, it takes elements touched on in, believe it or not, Lucio Fulci’s House By The Cemetery, and expands upon them by throwing tropes of another genre that don’t always belong in a story about the supernatural. A warning on the contents of this film could also have the disclaimer ‘may contain traces of The Butterfly Effect’. The film is slick and well made by first time director Alistair Legrand who co-wrote this film with another first-timer Luke Harvis. 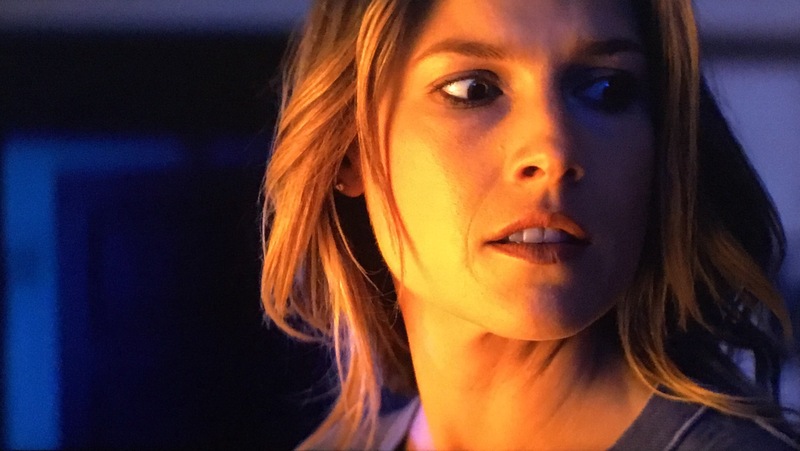 Single mum Madison (Ali Larter) has a few problems. 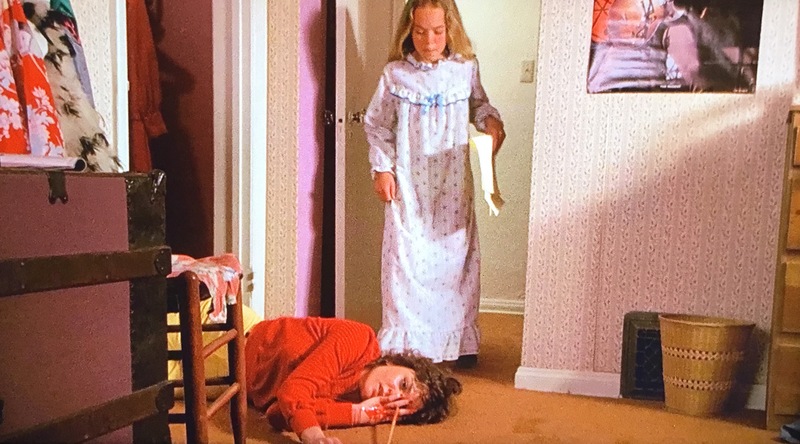 Not only is the eldest of her two kids, Jacob (Mx Rose) been acting violently to other kids since the death of his father, but the house they live in (with youngest child, Haley played by Chloe Perrin) is haunted by not one, and not two, but three different spectres. 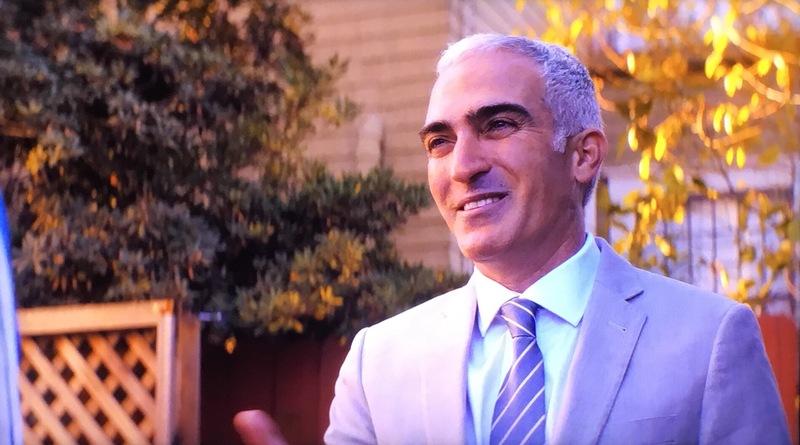 In addition, she may also get kicked out of her home due to unpaid bills, though salvation in this case may be coming in the form of an offer from creepy CamSet employee Austin (Patrick Fischler). What’s great about the script to this film that upon rewatching, the ‘twist’ is hinted to on several occasions, which makes the depth of the script all that more enjoyable, and doesn’t just feel like the pancake flip that From Dusk Til Dawn was. If I am to criticise this film on anything, it’s two minor things. 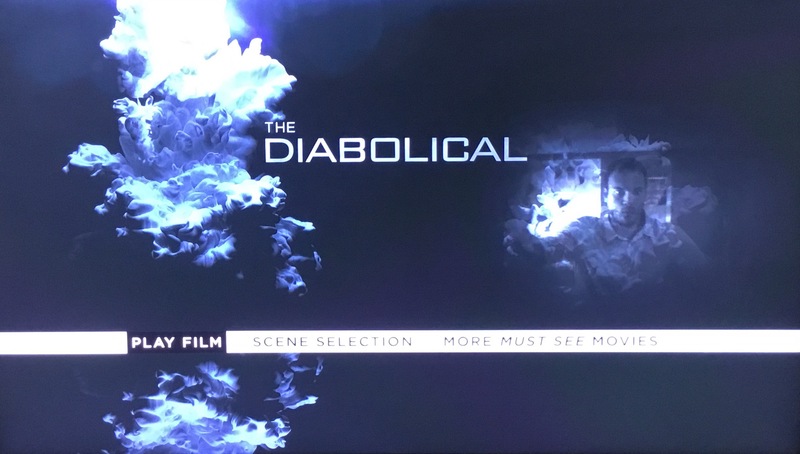 One, the title The Diabolical really has no reference point in this film as nothing devilish is going on at all. The other problem is the ending is a little bit soft, especially considering how strong the rest of the film is. That aside, it’s a great film with some great performances that I thoroughly enjoyed. 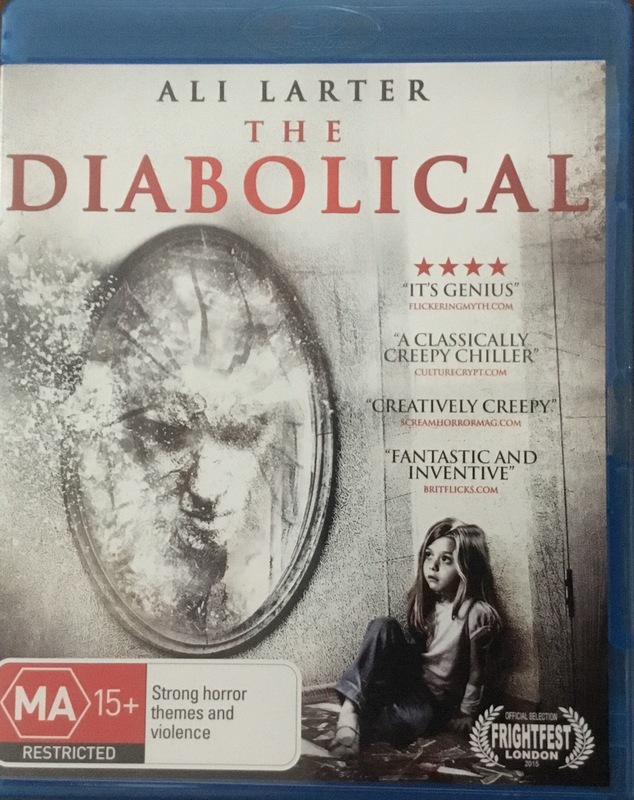 Format: This Australian, region B blu-ray release of this film is in a 1.78:1 presentation, which for the most part is really sharp, but occasionally loses focus around the edge, which is quite strange. The DTS-HD Master Audio 5.1 soundtrack, though, is perfect. 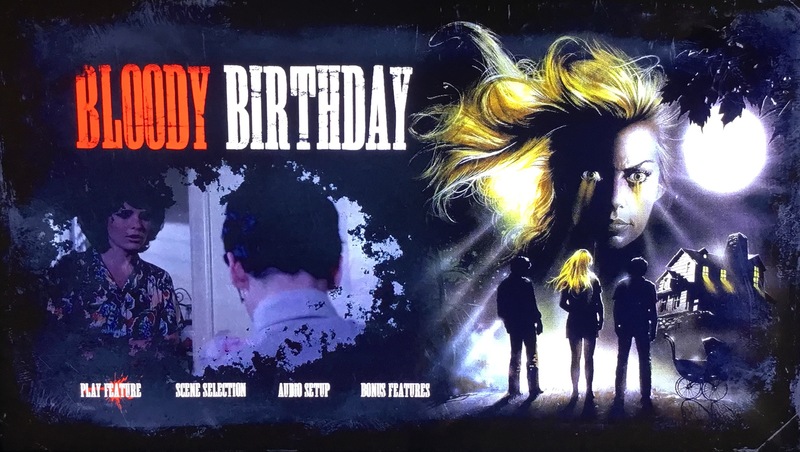 Extras: The disc starts with trailers for Bus 657 and The Drownsman but the only other extras are images of the covers for the films Dark House, Pay the Ghost and Into The Grizzly Maze. 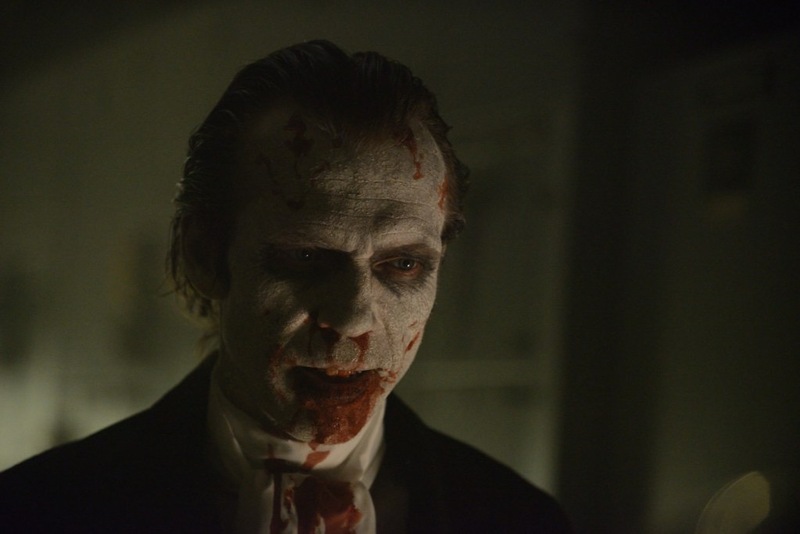 Shame, as the film was clever enough to warrant even a small making of, if just for the twist and the make up effects. WISIA: It’s an entertaining film and has one of my favourites Ali Larter in it so it’ll get looked at again. Cool New Halloween Shirts…. Get them Quick!!! I know, I must seem like I am some kind of Fright Rags shill but I love their stuff, and here’s a new T shirt of the Shape, all ready for Halloween!!! 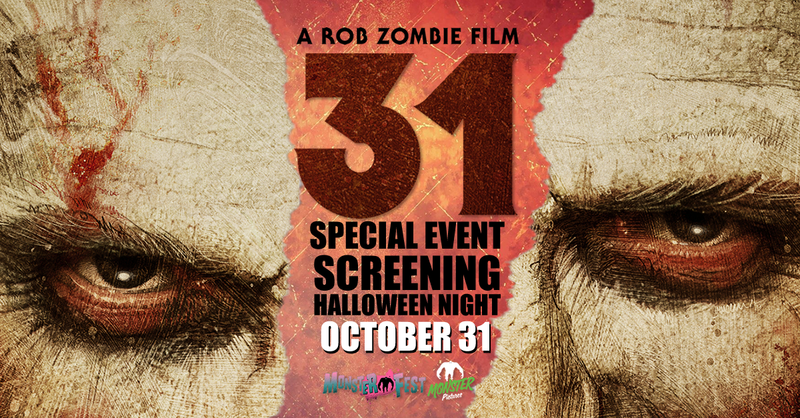 More details can be found at the Fright Rags website! Film: Shameless Screen Entertainment have to be given credit for releasing some movies that most companies would never even give a sly sideways look at. This film, aka The Seducers is probably one of those films… I can’t really see Disney or Sony whipping this out amongst their cheery chick flicks, sad message-filled animated tear-jerkers and rom coms! This film was written and directed by Ottavio Alessi, who gave us the films Emanuelle in America and Emmanuelle in Bangkok, which should be a fairly big clue as to what to expect with this film. 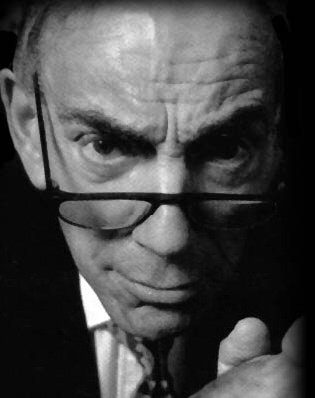 It was co-written by Nelda Minucci, whom has no other cinematic credits and Lorenzo Riciardi, who did a few bits and pieces but is really only known for directing 1961’s Venera Creola. Ok, so buckle up for this story! Mudy (Maud Belleroche) wants her clearly brain damaged son, Tony (Ruggero Miti) to lose his virginity, so she invites her friends of loose morals, married couple Aldo (Maurizio Bonuglia)and Paola (Rosalba Neri) and whore Ulla (Edwige Fenech) on a sailing boat trip to help him with his ‘problem’. Unfortunately, their boat gets stuck on a sandbar and they attempt to get help from the goat farmers on the island close by, engaging in various disturbing sexual adventures here and there, but Tony is quite taken by the farmer’s wife Beba (Eva Thulin) and when Aldo spots this he starts machinations to get her to pop his cherry, which include kidnap. This of course leads to further crimes on their cruise of doom…. This is when of those times that even though a film may not be very good, at least someone has gone to the trouble of restoring it to their best efforts. I would rather see a film, no matter how bad, than think it may have been lost forever. To that point, having a film with both Edwige Fenech and Rosalba Neri restored isn’t a bad thing in the slightest. This would definitely make a disturbed double feature with Nico Mastorakis’ Island of Death, though that film is far superior… Yeah, that’s right: I’m saying that Island of Death is BETTER than something else! Over and above any issues with the actual restoration, the problem with this film is the film itself. 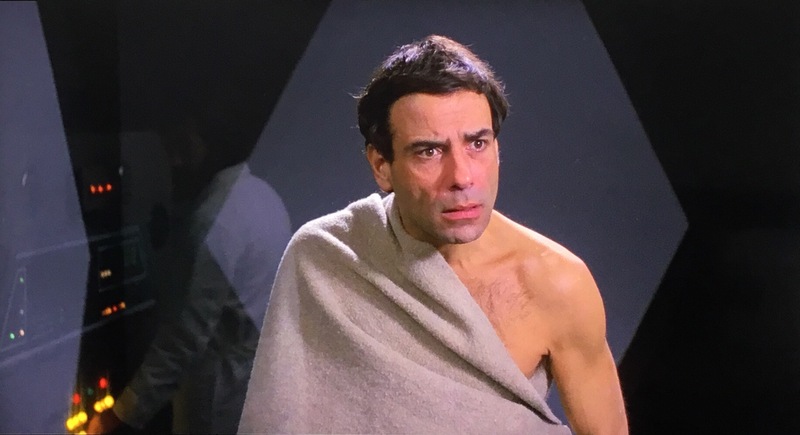 Sure there is some great footage of Fenech, Neri and Thulin ever so slightly in states of undress, and even some of the scenery is beautiful, but the story isn’t compelling, the ending is flat and some of the acting is overblown and annoying. The real difficult thing for me is I really like to see cruel people punished at the end of films, and there doesn’t seem to be any come uppence in this film, which would be OK if it attempted to be a dark, disturbed film, but it doesn’t come across as that either, possibly due to the performances being almost pantomime, but also due to the summery, holiday environment. Basically, one shouldn’t attempt to sell a film on the basis that one of the female characters gets cunnalingus from a goat. Format: It’s difficult to judge this film too harshly on its quality as it is a rebuild of a film from 1969 that Shameless had done of the total film from a variety of sources, but I have to report honestly. This release goes for 91 minutes and the visuals, presented in 1.33:1 is covered in various artefacts and hairs and isn’t very sharp! The sound comes in Dolby Digital 2.0 and switches with no warning from English to Italian (with English subtitles) throughout. I guess you don’t want a warning, as that may make the film a bit stuttered, and you do eventually get used to it, to the point you don’t even really notice it at all! 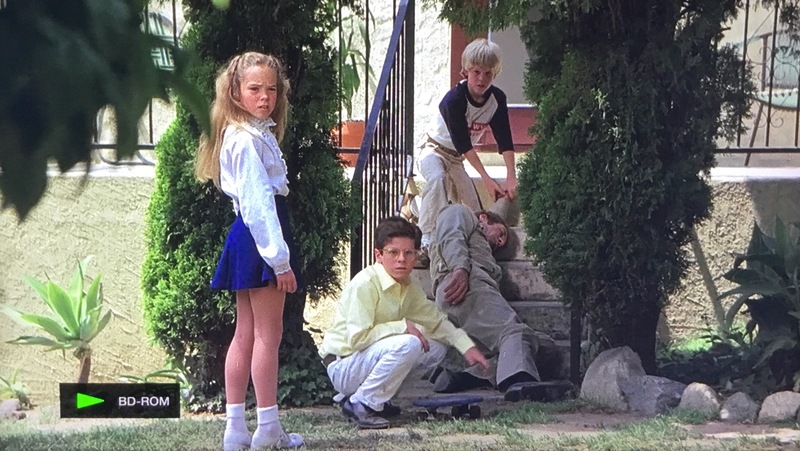 Extras: The disc opens with trailers for future Shameless release The Sect, and current releases of The Sister of Ursula and Formula for a Murder, before hitting the menu screen. Of Goats and Boats is a subtitled feature lincensed by Shameless from Cinema Obscura and is a series of interviews with Rosalba Neri and Salvatore Puntillo. Interesting for us and nostalgic for them, I think. The alternate ending was just stupid, and really, not entirely different. Whilst I am normally a detractor of stills galleries, this one was OK as it wasn’t just freeze frames from the movie but instead was a selection of promo material for the film, done as a slide show over a portion of the soundtrack. 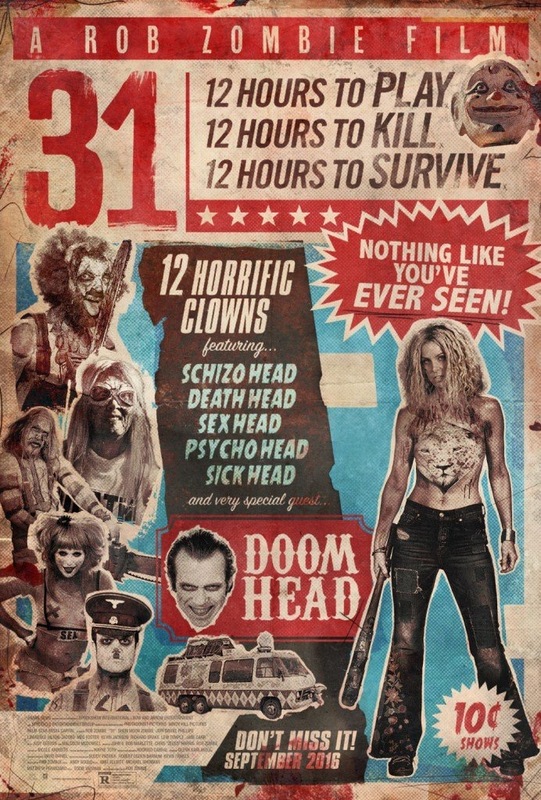 There is also a trailer park, featuring trailers of The Bronx Warriors Trilogy, Love Goddess of the Cannibals, Satan’s Baby Doll, Beat in Space, New York Ripper, Strange Vice of Mrs Wardh, Cannibal Holocaust, Almost Human, Don’t Torture a Duckling, House on the Edge of the Park, Foir Flies on Grey Velvet, Dellamorte Dellamore, Amsterdamned, The Nurse, Viva, Formula for a Murder, 10th Victim, Contraband, Washing Machine and The Sister of Ursula. I have to also point out I am a sucker for a reversible sleeve, and this has one as seen above, and another that’s pretty average, but it’s the thought that counts. WISIA: I don’t want to seem harsh, but I can’t imagine ever needing to ever watch this film ever again for any reason whatsoever.